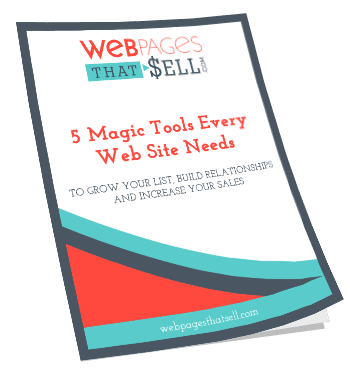 The most important role of your website is to build a relationship with your visitors. Your website has been put in place to attract new clients and continue growing the relationship with current clients. I prepared this infographic for you to help you make good decisions on where you want to put your update efforts so that your website can work for you more easily. It is also nice to check off what you are doing right. Feel free to print it off, save it, share it, post it. Do your prospects and customers know what you look like? Add a picture to your website and show them. Make it a professional image that represents you and your brand. If you have a team of employees or even contractors that your clients may interact with frequently then consider adding photos of them on your “About” page or contact page. The contact page is simple enough yet it is very important. It should include your contact information even if it’s already been published elsewhere on your site. Include name, phone numbers, email addresses and physical address. Also consider including any social media links on this page. FAQ stands for Frequently Asked Questions. Including an FAQ page on your website helps make it more user friendly. Create a list of the most common questions you receive and turn it into a separate page on your site. Make sure that like all your other valuable pages, this FAQ page is easy to find and read. As you receive more questions, you can add to the page. Also, consider occasionally linking to other important internal pages. This can accomplish two things. It can help keep your visitor on your website longer. And it can help boost the rankings for the page you’re linking to. When you’re creating your FAQ content remember to make it valuable and easy to understand, and don’t forget to include your unique voice in the content. If you’re witty when you create blog posts then be witty when you create your FAQ page. Consistency helps strengthen your brand. How do you motivate people to sign up for your newsletter? A great sign up offer can do the trick. There are many options to consider. You can give away a free report or ebook. You can provide a free online tutorial, video series, or access to behind the scenes audio recordings. Create a fabulous offer to motivate subscribers and publish that offer in a prominent location on your website. Experiment to see what type of opt-in form works best. Some people have great luck with pop-ups, while others find that the upper right hand corner of their website works best. Testimonials are money in the bank. They’re mini sales pitches made on your behalf by a satisfied customer. Who better to promote you and sell your services than an unbiased customer? Use these testimonials wisely and place them strategically on your website. USP stands for unique selling proposition. It’s what makes you different. How do you separate yourself from your competition? What do you do better or differently from them? Integrate your USP into your voice, branding, and content online. Include a call to action in every single piece of content you publish on your website – even if you merely want someone to stay on your site and read some more. Tell your visitors what to do next and help guide them through your site step by step. Email marketing is still one of the most powerful means to connect with your prospects, build relationships and make sales. However, your email newsletter has to be valuable. Make sure it provides different value than your website content. And separate that content so that newsletter subscribers receive unique value. Hosting events is a great way to not only attract attention to your business but get people involved with your business – events creates relationships. Consider hosting regular events and adding a promotional banner on your site to generate interest and attendance. You can host regular monthly webinars, chats, and other events to educate and promote at the same time. Invest in a good webhost and make sure the graphics you’re uploading aren’t so large they slow down load times. People are impatient and generally won’t wait more than a few seconds for a site to load. Consider getting a free account with www.cloudflare.com which is a CDN (Content Delivery System). This will aid in keeping your load times fast. Many people are frightened of outbound links. They’re worried that they will be sending their visitors away. The key to good outbound links is to link to websites that are complimentary and that you have a relationship with. For example, if you have a dog training blog you might link to your favorite dog toys website or your favorite dog breed information site. Choose relevant sites that aren’t in direct competition with you. These outbound links should also only be with professionals that you have a connection with. Ideally they’ll also help promote you by linking to your site or by promoting you on social media. Be sure to make these external links open in a new window, so that if your prospects do click on the links, your website remains open. You’re active on social media right? You can add social media functionality into your website. Social media widgets can invite people to join you on your chosen sites. Social media widgets can also display your activity on your favorite sites. For example, if you have a Pinterest account you can add a Pinterest widget to your site and display your latest pins. Relationships are what build business. You have relationships with your customers and prospects, your vendors, contractors and much more. Each relationship is an opportunity to leverage, grow, and prosper. Relationships with relevant industry professionals can be significant. For example, imagine if you have a pet blog and you forge a relationship with Cesar Millan (the “Dog Whisperer”) who links to your site or mentions you on Facebook. That would be huge for your business. And you don’t have to forge relationships with industry celebrities to make an impact. Connecting with others builds your community, one person at a time.